Here below is the full transcript of Fr. Thomas Rosica's interview with Bishop Bernard Fellay, Superior General of the Society of St. Pius X. Watch the half-hour interview this Sunday on Witness or view the entire program streaming online here. Fr. 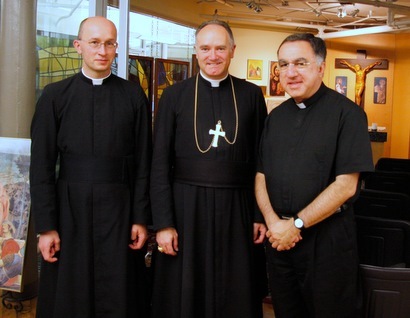 Rosica (right) and Bishop Fellay (centre) are pictured here with Fr. Jürgen Wegner (left), District Superior of the SSPX in Canada. Witness airs this Sunday at 8:30 PM, repeating the following Thursday at 8 PM. A separate French interview with Bishop Fellay airs on Témoin this Monday at 8 PM, repeating the following Saturday at 7:30 PM. (All times Eastern) Find additional broadcast times here. Fr. Thomas Rosica, C.S.B. : Bishop Bernard Fellay, it’s a great pleasure to welcome you to Salt + Light Television in Canada. Thank you for coming, especially to see us. Bishop Bernard Fellay: Thank you to you, that you receive me. Fr. 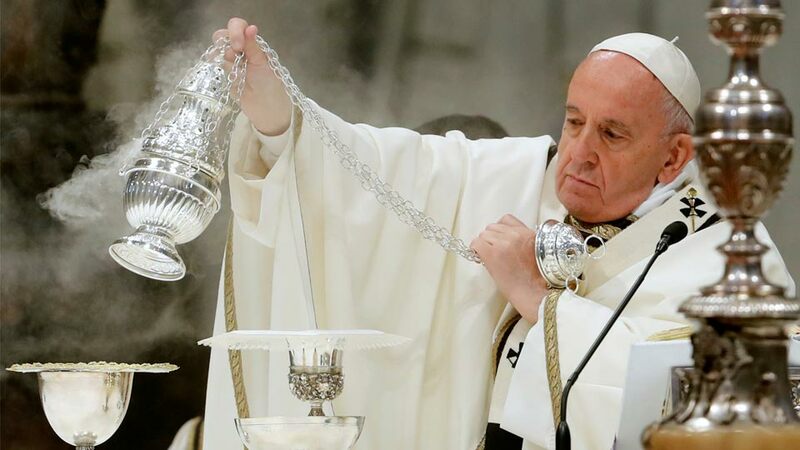 Rosica: We are in the month of June 2009, in fact, to be precise, it’s June 15th, several days before the feast of Saints Peter and Paul, which is certainly a special feast for you. And you are not a stranger to our viewers. You're certainly not a stranger, your name is not foreign in the Catholic press, especially over the past few months. You are a bishop, you are a member of the Society of Saint Pius X and also the superior general of that community. Tell me where you’re from and what brings you to Canada. Bishop Fellay: So I come from Switzerland. I was born there, raised there. In fact, since 1962, about eight years before Archbishop Lefebvre knew about l'Ecône, I was already there. My parents worked there, so I was all my life in front of this seminary, had my youth in the College of St. Maurice with the canons there, at the foot of the martyrs, and my life just went this way in this seminary. I had the beautiful example of the seminarians, young priests, who took their religion very, very seriously, and that’s the development I had there. Right after my priestly ordination I had to take care of the economic side of the society as the burser and then twelve years later I was elected as the superior general. And now, if I come here to Canada now, it's as superior general. 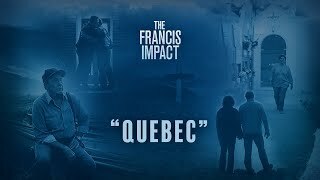 It’s some years now I have not visited the different places we have here in Canada, so just to see how things develop, how the priests behave, how they take care of the faithful, and also I took the opportunity to give some confirmations starting in Quebec. Fr. Rosica: Bishop, I think the fact that you’re here and the dialogue that we’re having today is extremely important, especially in light of the past months because the Society of St. Pius X, yourself, Bishop Williamson and the issues that have been before us have marked many Catholics and have been a real hot point, a flash point. What year were you ordained a priest? Bishop Fellay: I was ordained in ’82. Fr. Rosica: So, you are, one may say, a post-concilliar priest, you were ordained after the Second Vatican Council. Fr. Rosica: And one of the hot points, one of the discussion points for the Society is the reception of the Second Vatican Council and the understanding of that Council and some of the difficulties your Society has had with the Council. We could also say that one of the great division points in recent Church history was the ordination that took place in 1988 by your founder, if you will, Archbishop Marcel Lefebvre, in Switzerland at Ecône, probably not far from your house. Let’s go back and look at these two issues. First of all, what was it like to grow up in Switzerland, to be in Europe in those years after the Council--and you had much difficulty in understanding the Council. What are the central points of division or difficulty that you have with the Second Vatican Council? Bishop Fellay: Yes. So if we start with the first point, I was raised, as they say, as a totally normal Catholic. That is, I had to experience all the implementation of the Council as it was implemented in Europe or, more precisely, there in Switzerland. So for the first years I followed that. At the same time, Ecône, which came in the Seventies, but had to see both, I could see both in the school, the high school with the priests, with the canons. On the other hand, I also saw the seminarians there, so I had to see both sides at the same time. Fr. Rosica: When you say “both sides”, what is the other side that you were seeing? Bishop Fellay: One side was the, I may say, modernization of the religion with the introduction of the new Mass, with the communion in the hand. At the college we had to say “group Masses” where we, I might say, we invented the text for the Mass. So I had all these things. And sometimes, I must say, I was shocked, especially seeing priests leaving the priesthood. We had all this. We had to experience all this. And when I say the other side, it was much more traditional. Not, I may say, not opposite, because it was the religion I had known as a child, which just continued. In my parish, when I was a little kid, when I entered the school, the parish priest was still in cassock, so to see seminarians in cassock did not hurt me at all. But at the same time, I saw the other priests leaving everything, leaving not only the cassock, not leaving the clergy, but they were just presenting themselves as laymen. So I had both these pictures in front of me. And at a certain point it was no longer the same, I may say. Yes, sometimes you had to face some scandals, it’s true. Of course, when you see a scandal you say 'that cannot be, it cannot be our religion', so to say. It’s true, a scandal is an abuse. But it was not, not to say a break. I had never this idea. I just said, “I go there.” And of course, only there, at that time, it was controversial. It was pretty hard in ’75, ’76. 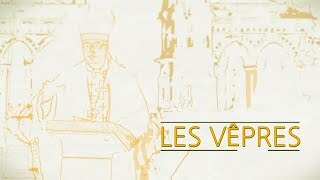 Already the history of this little society founded by Archbishop Lefebvre, which started absolutely, completely in the church, with all, let’s say, Church permission, was founded by the Bishop of Fribourg in Switzerland. Whenever there was the opening of a house it was with the agreement of the local bishops. Ecône, for example, was founded and erected with the permission of Bishop of Sion. The opening of our home in Albano was done wit the permission of the bishop. So it was just following all the rules. So it seemed good, perfect, no problem. And suddenly there was big, big heat, and that was seventy...I may say, ’74, ’75, and it was already perceived from the start as a hostile action from, I may say, the French bishop at the time. At the time, Bishop Etchegaray, who was Bishop of Marseille, said to some people, “In six months we will no longer speak about Ecône". So it was clear that there was a sort of plan to do something, and it happened. Two visitors were sent to Ecône from Rome--apostolic visitors. They said the seminary was fine to 95%. The only thing that did not work was the Mass. That we did not accept to say the new Mass. Fr. Rosica: Now, we’re talking about ten years after the Second Vatican Council. The Council closes in 1965. ’74, ’75, we see it heating up. There’s a certain resentment toward the Society. There’s difficulties on the part of episcopal conferences, individual bishops. And then 13 years later, 1975 to 1988, another explosion happens, if you will, when Archbishop Lefebvre, against the desires of John Paul II, goes ahead and ordains I think there were four of you. And you were one of those four. You were a young bishop when you were ordained. How did it feel to be in open disobedience to the Church at the time and subsequently? Bishop Fellay: It was never the feeling of being disobedient to the Church. It was kind of...what the Church has always done cannot be wrong. We are in misunderstanding. We cannot bring our point to the authorities--we would like to, but we cannot bring it. There is a turmoil in the Church and [there is] the impression [that] we cannot even say 'there is fire in the house'. We are prohibited to say there is fire. And so these consecrations, they were really seen--and it was the word of Archbishop Lefebvre during the sermon--it was, what we do now is "Operation: Survival". We try to survive. And once again, it has never been perceived as an act of rebellion. Bishop Fellay: On our part, yes. And we have, Archbishop Lefebvre especially, has done what he could to show that what he was doing was not meant to be an act of, I don’t know, of attack, of rebellion, of secession. So he insisted on us to say, "'You do not have and you do not claim any ordinary jurisdiction. And so, neither are you appointed to take care of part of the Society. You are just at the service of the Society. Whenever the superior general is going to ask for a service, either ordinations or confirmations, you come, but you just are there as an auxillary." And so it’s always this way that we have conceived our service. Sometimes I say it’s like the Good Samaritan. Those who should do the job don’t do it. So, well, you take what you find to do it, so kind of spare wheel that is entering in action in a difficult time. Fr. Rosica: Let’s speed up the story a little bit just so our viewers who have bits and pieces of this understand then. So you’re ordained a bishop in 1988 for service to the Society. You are not bishop to a particular diocese, apostolic region or area. And then in January of 2009, suddenly, out-of-the-blue for many people, the excommunication is lifted. Before we talk about that, explain how you understood this excommunication that was imposed upon you for that period of almost 14 years. Bishop Fellay: In this we did not take it too badly, in the sense that looking at what the Church did before, in the situation of the ordination of a bishop without apostolic mandate, papal mandate, we see that the old Code of Canon Law only foresaw the sanction of suspension and not excommunication. As we never had, in any means, the intention of either establishing a parallel hierarchy or another Church, we formally reject this idea of, let’s say, schism. And so, I may say, we did not suffer too much from this excommunication. Of course, it was there. We were put on the side with this—of course, marginalized. But, rather, let’s say, not having the feel of guilt. Excommunication is a sanction that follows the sin. And this feeling of having sinned was not there, I may say. Of course, definitely the situation was serious, of course, but never, once again, with idea to separate. Archbishop Lefebvre even said, when he chose us he said, “When things are okay, you hand over your power to the Holy Father.” And that’s always our perspective. It’s by no means the will to say “we are going to save the Church” or “we are the ones”. No. Fr. Rosica: So you never set out to save the rest of us who went forward with the Second Vatican Council. Your goal was not that. Bishop Fellay: No. What we see with the Council, if you follow the way Archbishop Lefebvre went through it and after it, it was never a kind of ideology. It was following the facts and then by deduction saying, ‘Okay, if this happens there must be a problem. Where is the problem?' So we’d better step aside. We don’t go there because it’s dangerous or it needs clarification. And, of course, as it was very hot, sometimes also very hot declarations, its true, and this was heated up and, I may say, right now we’re still in a hot controversy here. Fr. Rosica: We’re not exactly air-conditioned at present with the issues. However, we’re able to talk about them in an open fashion, which is a step forward. Were you surprised in January 2009 when suddenly the excommunications were lifted by Pope Benedict? Bishop Fellay: I was surprised when the time came. At the same time, I was not totally surprised because of the background. In 2005, Cardinal [Darío] Castrillón [Hoyos] asked me to write a letter to the Pope asking for the lifting of the excommunication, which meant that Rome was ready to do it. I would not have been asked to do it if Rome was not ready to do it. Bishop Fellay: It was already with Benedict XVI, yes. Fr. Rosica: So you wrote that letter in 2005. Bishop Fellay: I wrote it a little bit later. In fact, I wrote it several times. It came back and back again on the same topic. But at the right time, when it came in January of this year, I did not expect it. It was...the last months were not so so good, I may say, in the relations with Rome. Not directly, but indirectly I heard some rumors, some things going on, or some impatience inside Rome saying, ‘What are they doing? They’re not doing anything.’ And so I did not expect it. So, yes. Fr. 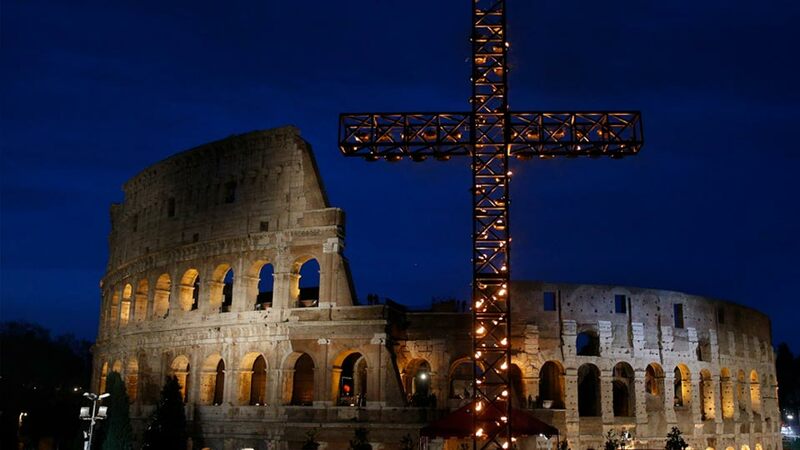 Rosica: The letter set off a firestorm throughout the world--the lifting of the excommunications--and it was responded to in different ways in different countries. We saw the response of France. We saw the response of Germany, the response of the American bishops and other groupings of bishops. Why did certain countries such as France and Germany respond so negatively to the lifting of the excommunications? Bishop Fellay: Most probably because they have more direct or immediate relation with us, let's say, in the past. Ecône is in Switzerland. We have a seminary in Germany. Archbishop Lefevbre is French, so there is a whole context there. Also the Society is more present in France. It is the country where we are the most--we have 140 priests there. Bishop Fellay: It’s certainly fair, the only problem I have is to give the right answer. You say you may have the faithful who go every Sunday or even weekdays to our different chapels. We have those who will come from time to time, who sympathize and so on. It’s very, very difficult to get the right figure there. We estimate between...I think it would be fair to say between two and six hundred thousand. Fr. Rosica: Throughout the world? Fr. Rosica: Here in Canada, do you have any idea how many are ? Bishop Fellay: Here in Canada, I would say quite a few, maybe five thousand. Fr. Rosica: Scattered throughout the country? Fr. Rosica: What is the fascination of people with a rite that they never grew up with? For example, I was born in 1959, the year the Council was called. I vaguely remember the shifting, the experimentation and everything. I really can’t say that I was formed by the Tridentine Rite. But we see so many young people today, young adults, young couples, young families who seem to be truly taken by it, fascinated by it, and are following it. Is that a reason for concern or what are the positive aspects of that? Bishop Fellay: I think, you see, what we call the Tridentine Rite, in fact, is the Latin Rite which goes back to the 5th, 6th century. So, we may say, that is the rite that has formed the whole of Christianity throughout thousands of years and it is, without any doubt, formed by the Holy Ghost. It’s spreading out holiness. And the baptized has the character. The character of baptism is orientating the soul to the Eucharist. I would say, the Holy Eucharist is the centre of everything--it's our Lord Jesus Christ. And so if and when you find a liturgy that is expressing, bringing you the closest to it, there is a harmony which is beyond understanding between this call, this direction, which is in the soul, and this expression which we find. So whenever you find this harmony, it just goes by itself. It’s like a click, "That’s it! I feel home. That’s home." Fr. 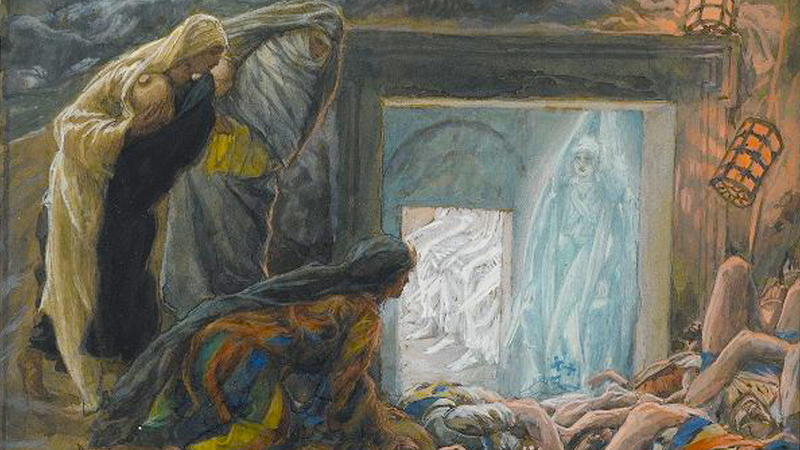 Rosica: There are those that say that one of the things that is lacking in some of our adaptations, interpretations of liturgy is the sense of mystery, of awe, and of God as the totally Other. It’s not normal life as usual. We don’t enter the liturgical space or the moment as if it were simply a movement to another place and we carry on as we just carrying on outside. There are those who have said that the Tridentine Rite, proper liturgy in the Western rite as well, done properly, invites people into the sense of mystery and of wonder, adoration. One of the criticisms also that many people have levelled against the Society is your criticism of the Second Vatican Council, a council which has marked all of us deeply, a Council that has formed us. It certainly is my formation. I grew up with the Council. I’m a Council baby and was formed by that council. You have issues with that Council. You have concerns about that. Could you be brief about some of your concerns about the Council or perhaps the misinterpretation of it? Bishop Fellay: Yes, it’s a whole mixture. It’s not just…when we say the Council, what do we say, in fact? Do we really say only a set of texts? I don’t think so. Some say, or speak, of “the spirit of the Council”, which is really something else. Some speak of the interpretation of the Council, which is already, again, or may be, something else, especially when you see in the Church so many different tendencies. You have a whole panel of different ways. You have people who call themselves “of Vatican II”, with almost, or maybe at certain times, really, contradictory positions. So some of them must be wrong. Well, the Holy Father himself clearly condemned what he calls the hermaneutics of rupture. Bishop Fellay: Yes, discontinuity. And, so obviously, let’s say, there’s certainly room of, let’s say, condemning or being discontent with, I may say, a certain way to express Vatican II. Now we may go further, but especially what we would say about the Council is many things are not precise in the Council. And it was even done on purpose because of certain tendencies of the Council to get kind of unanimity. Certain words were used [that would] please both parts. This generates, by itself, then, confusion or the possibility of having various interpretations. That’s already a point which we say needs clarification, because it’s too dangerous. The faith is too essential. We cannot dare to open the road to erroneous interpretation, especially the texts of the Council needs to be as clear as possible. That would be one of our major hopes in the discussions that are starting now, that we come to that clarity or clarification. And, I may say, this is probably, when we look in depth, the major reproach we have. We have other ones, we have, let’s say, especially on three points, three elements where we say we don’t see how these can be fitted in the, I may say, teaching or behaviour, depending on, let’s say, the put-in-practice of the teaching of the Church in former times. And this is, for example, collegiality. Of course, if we understand collegiality following the nota praevia [to Lumen Gentium] which was, let’s say, imposed by Paul VI, already there, to give the right understanding of the Council you have it already there, let’s say, then it’s fine. We fully agree with the nota praevia, we say. But if you forget it, then you are in trouble. And then you have what we call, what is called religious liberty, which is already…you have many things under that word. You have many, many things, in fact. You have the question of the personal, which we would call liberty of conscience, then, the question of the relation between the Church and the state. And so you have many, many things under this religious liberty. So when we say we are against religious liberty, there is a lot of clarification. For example, for us it’s absolutely obvious, really, it’s obvious, that by no means somebody can be forced into a religion and, especially, into the true religion. At baptism, the Church requests this expression of freedom: “Do you want to be baptised? Yes.” And so we firmly stand behind that. God has created us with the use of reason, free reason, and He wants us to freely accept what He has done for us. And without this freedom, I may say, there is no salvation. And so, once again, we have to understand very well what we say when we say that we are against religious liberty. Fr. 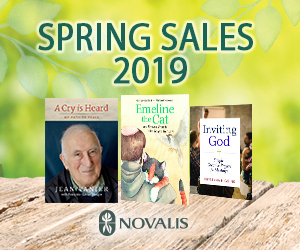 Rosica: Bishop Fellay, one last question, I can’t let you slip by without asking you the real hot question, I think, which got so much of the new coverage in January, February, March of this year. Is the Society of St. Pius X anti-Semitic? Bishop Fellay: By no means. Fr. Rosica: And how do you deal with the phenomenon of the loose canon of Bishop Williamson? Bishop Fellay: Well, we do what we can. It’s like, if you have a grenade in your hand in the middle of a crowd. What do you do with it? Can you throw it? Fr. Rosica: Bishop Williamson was not speaking in your name or the name of the Society. Bishop Fellay: By no means. That’s his personal vision or understanding of things and had nothing to do with the Society’s position. No. Fr. Rosica: So it’s fair to say that that was a misstep, a grave error that really clouded over terribly what the Church is trying to do with you right now. Bishop Fellay: What is amazing is that it happened at just the right moment…let’s say, the worst moment possible. Fr. Rosica: Worst moment possible. Yes, the coming together of all of those events in January 2009 was really not very fortuitous and propitious for the Society, nor for the Church and especially for the world community. Fr. Rosica: I want to thank you very much for coming today. We’ve touched upon some very difficult issues. I firmly believe that Salt + Light Television is here as an educational station to teach people about these important issues in the Church. I know our interview today, our discussion, will be of great help to hundreds of thousands of Catholics in Canada , throughout the world who watch us via the internet, and also to the Universal Church . I promise you our prayers, our support. Oremus pro invicem. Fr. Rosica: Because we have our eyes fixed on Jesus Christ, who is the Lord of the Church. Let us pray that He holds this Church together in peace and in unity. Bishop Fellay: Let’s pray for that.